Click the button below to add the Tiramisu Chocolate Almonds to your wish list. 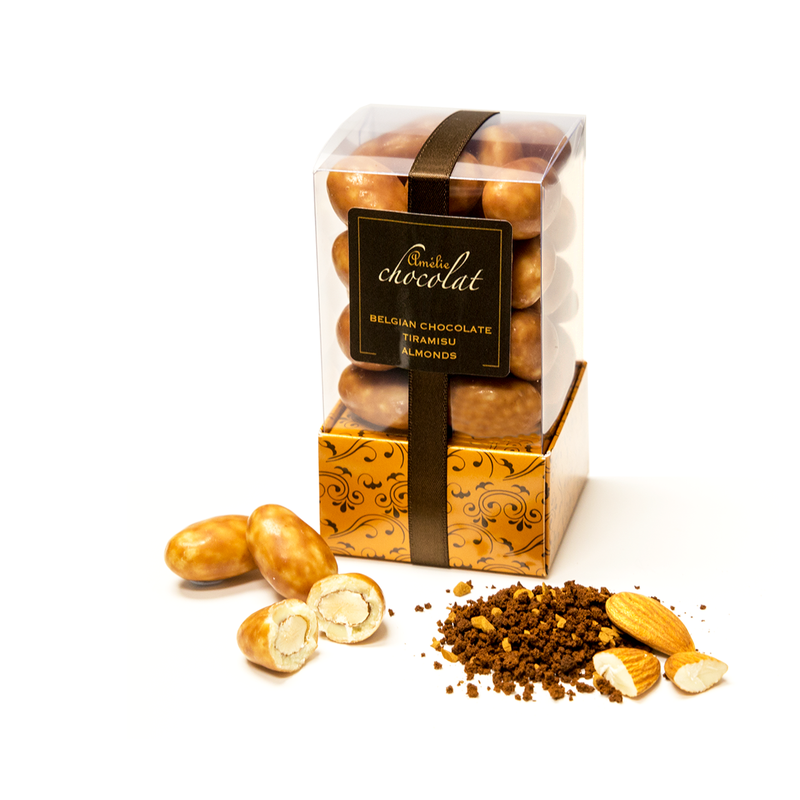 Capture the essence of La Dolce Vita with these exquisite tiramisu chocolate almonds. Plump roasted almonds enrobed with creamy Belgian chocolate combined with the luscious dessert flavours of coffee, mascarpone & cocoa. Presented in our stunning new designer cube, these delicious Tiramisu Chocolate Almonds are a great contemporary gift with a difference.